The Wilson family have been in the circus business for many generations. Dime was born on a circus train as it passed near Detroit, Mi. 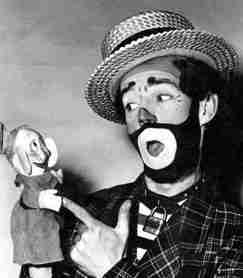 In early years Dime did trapeze, trampolin and animal acts before developing his famous "hobo" clown character. 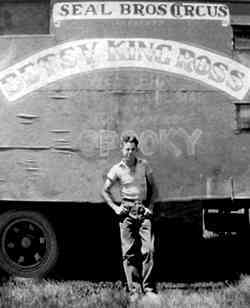 Connie Doile began her circus career as an aerialist on her uncle's circus. Connie continued her aerial artisty until after a bad fall, her husband Dime convinced her to keep her feet on the ground. 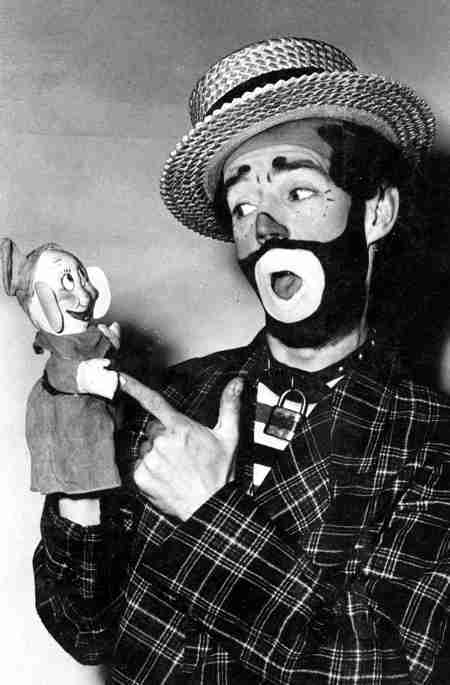 That is when she became Dime's "white face"clown partner "Willie". 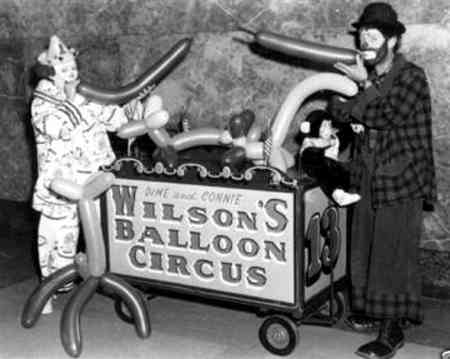 On January 17, 2010 the Dime Wilson Family were inducted into the Sarasota's Circus Ring of Fame.